One Sunday afternoon, as we sat on the parapet wall of our house, my husband suddenly exclaimed –“Lets do the ideal Sunday thing. Go to a book store, pick up some books and read them over endless cups of coffees. You read on dance and I’ll do my development stuff”. Much as I did not want to embarrass myself, I quietly followed him only to confine myself to one tiny corner of the store which read ‘Music and Art’, while he merrily traversed from one row to the other. I felt sorry but a lot of things crossed my mind. Is dance all about performing? Why don’t dancers have a plethora to choose from as readers have for fiction? What a boon would it be if there were discount sales? Why could we not go madly in search of street vendors selling second hand books on dance? Why din’t we share these books as we shuffled novels while in school? Why are these books just not affordable and most of all why are they not available at common book stores across cities? Before I could introspect on these lines it remains that publishers would be interested in a market that is sale-able / profitable. And the fact is that most dancers are only busy dancing, preparing for programmes, networking and teaching. Most publishers are not able to make ends meet because it should ideally be a win-win situation for the dancer featuring her in the book to invest in it! Only when the ‘Exam/scholarship’ bell comes ringing that they are reminded that everything practical has a theory supporting it. All this can be argued by the fact that we have our greatest text ever – Natyashastra surpassing everything and unparalleled. Then follows ‘The Abhinaya Darpana’, ‘Silapadikaram’ etc. ‘Texts’ as they are have been re-published and published in easier versions over the years for better outreach. These woks serve as a bible for researchers working on arduous subjects. Dancers pursuing their Diploma/Graduation/Post Graduation in dance go through the ritual of attempting to study these works and somewhere along as expected practicals take precedence. Period. 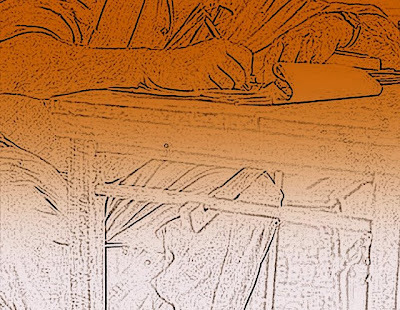 On a lower level, exams /scholarships conducted by Governments compel youngsters to turn pages of a prescribed book which more often than not is an eye washer of dance, its history, dance allies like music, art and sculpture, technical aspects et all, amidst which they are acquainted of the existence of texts in dance. Indian classical dance as a performing art has evolved, subjected to change and experiment. It has reached heights globally with a majority of youngsters working hard to make it big on a professional level. This being the situation it is high time that books also become an integral part of this growth and development. Reality actually throws a crude show. Currently books on dance are available in select stores which are very few in each city. One has to travel specifically and collect a junk of them(viz Chennai). Seldom are books sold across the counter in major book stores of the country. After a thorough dig, frantic search and asking for help there is finally a ‘No’ for an answer. A handful of them on display will surely be coffee table books priced exorbitantly, confirming the fact that everything in dance is ‘Possessed’ and ‘Pricy’. While all other categories of books are put up often on discount sales, books fairs and second hand clearance, dance books just don’t find their way to these places. There are never the thickest of dance friends who would exchange books to read and indulge. At least this way one would give undivided attention running towards a deadline to return it back! Besides, this generation needs variety to choose from. This could be in form and content of presentation. Something which they could mull over and discuss through dinner, something that serves as a travel book which just cannot be put down, something where experience is shared, lives of greats are narrated with ease and a pinch of humor, dance practices across the world are compared and learnt. 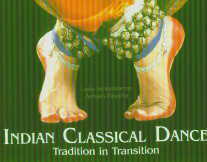 With already existing labels like ‘Expensive’, ‘Hard to make a living’, ‘Lot of politics’, ‘Not worth sacrifices’, ‘Tough to reach the top’ etc, Indian classical dance is subject to its share of sufferings and hardships and we would not like another label in the form of ‘Unavailability of reading content’ to tag along in the years to come. When would we stop ‘Reading only the straight lines’ of a dancer and turn towards ‘Reading between the actual lines’?